Artistic Tile is one of the most respected wholesale distributors of luxury tile and stone in the U.S., and offers unique products to architects, designers and homeowners, available for immediate delivery. Artistic Tile’s full-service commercial operation provides a wide array of services, including quotation, design drawings, shop tickets, stone carpet cutting, extensive product customization, installation consultations and on-time delivery. The company is a family-run business headquartered in Secaucus, NJ. 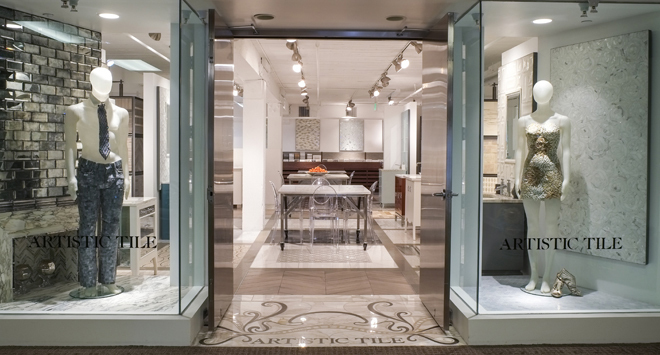 Artistic Tile branded products, including Waterfall Bathroom Furniture, are distributed through Artistic Tile showrooms as well as through a network of more than 200 dealers across the United States.